When you doing improper operations on your Samsung phone or a Samsung phone sustains too much damage, the user will supper from data loss issues or the device you are not be able to access the information on their mobiles at all. Therefore, they may be concerned about the loss of data being permanent. Here in this article, we set GIF images as example, telling you how to recover deleted or lost GIF pictures from a Samsung device. Fortunately, there are ways to help recovering GIF files on Samsung, but some of the more notable are easier to do. 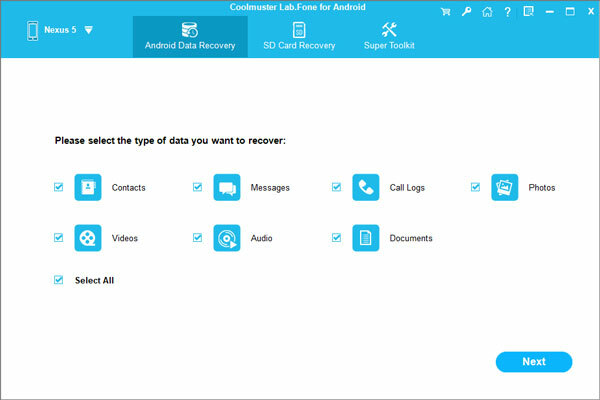 This is one of the main reasons why some users will highly recommend using the features provided by the software on Coolmuster Lab.Fone for Android. It empowers you with ability to recover everything, including GIF and other types of images, contacts, SMS, call logs, videos and audio files from Samsung Galaxy S8/S7/S6/S5, Note 7/6/5/4, etc. 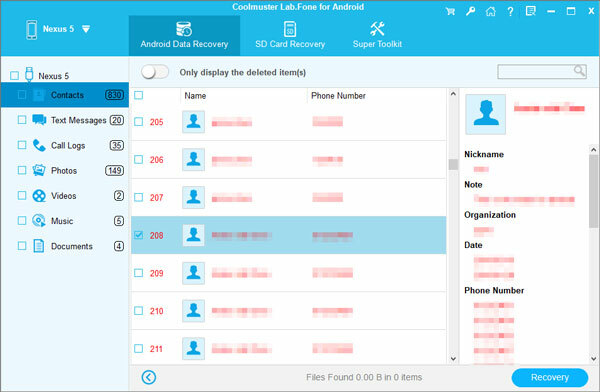 Lab.Fone for Android supports almost all Android devices. No matter what types of Android phones or tablets you are using, you can depend on the program. It offers you free trial version for having a shot without pay. How to Retrieve Deleted GIF Pictures on Samsung? Download, install and launch the Samsung GIF Recovery software - Lab.Fone for Android on your computer. Connect your Samsung device to the computer using a USB cable. The software automatically recognizes the device. Animated GIF is a kind of image format. So, you should choose the category of "Photos" and click "Next" button. Then, the program starts to scan all lost pictures on your Samsung phone. Preview the scanned out pictures to find the GIF images you want. Tick them off and then give a click on the "Recover" button on the bottom right. After that, all the selected GIF files will be saved on your computer.